How do I create a coupon bank and add coupon codes? Give the bank a name and description. These are only used for your reference. In Friendbuy, navigate to Coupons. Under Options, click Edit. 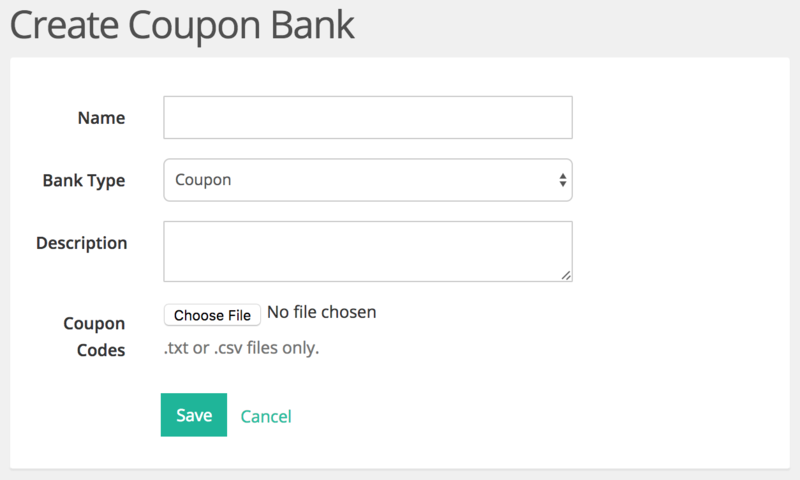 Click on Choose File and upload the file of your new Coupon Codes, and click Save. As with uploading a new list of codes, processing the uploaded codes may take up to several minutes, so your new bank may not show up right away. Check back periodically to confirm that your bank was saved and that it has the correct amount of codes in it.